This is a 45 year old woman who desired a reduction in the size of her abdomen. Five years before meeting Dr. Sajan she underwent major abdominal surgery and due to this she suffered a large scar in the middle of her abdomen. 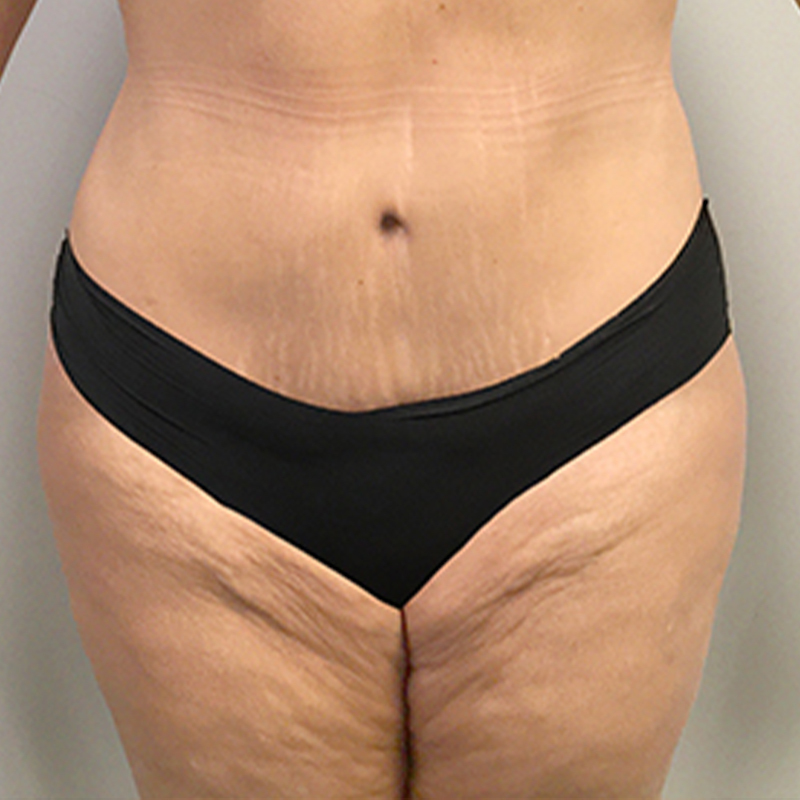 She underwent a tummy tuck, scar revision, and liposuction of her hips. She says now her scar is barely noticeable and she can now wear sizes that she never dreamt she would fit into.